Smart GSM power controller for experts. 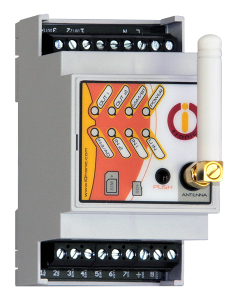 Designed for DIN rail installations. Monitor and control electrical equipment over phone, tablet or computer. Using by SMS, by simple call, by voice navigated phonecall or Bluetooth enabled PC. Built in thermostat and battery. External analog/digital sensors are supported.